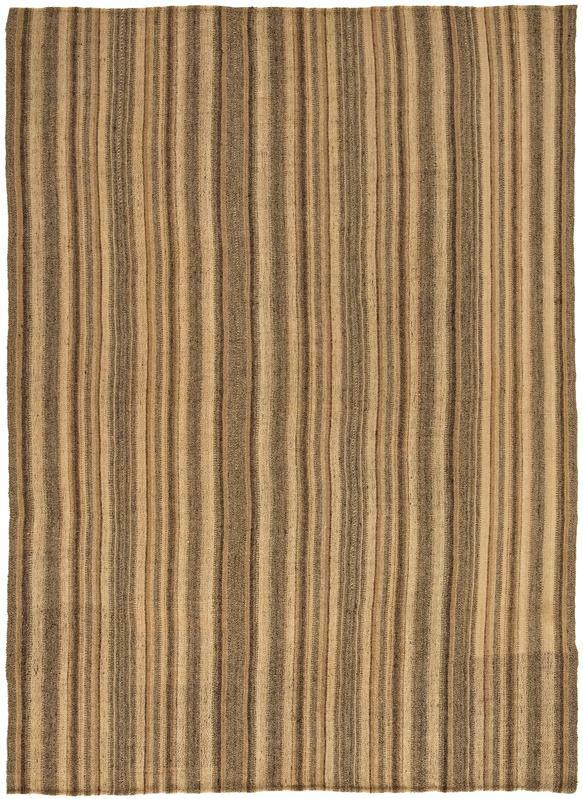 7' 3" x 9' 11"
Lori Pelas - 7'3" x 9'11"
This lovely antique Lori Pelas has a design of narrow vertical stripes in various shades of sandy gold, brown, and gray. There is no precise formula to their arrangement. Rather the weaver responded to her own design impulse to produce a dynamic pattern full of vivacity and surprise. The effect here seems to be the rhythmic variation between warm sand areas and clusters of cooler gray shades. One must see the piece to appreciate the added tactile effects of the weave itself within the design.